A group of cyclists from East Yorkshire have raised £5,000 to support the care of local people with bowel cancer. Gary Kemp, who works at Willerby Holiday Homes, is one of around 60 people to have taken part in a recent 50 mile cycle ride from Hull to Scarborough. 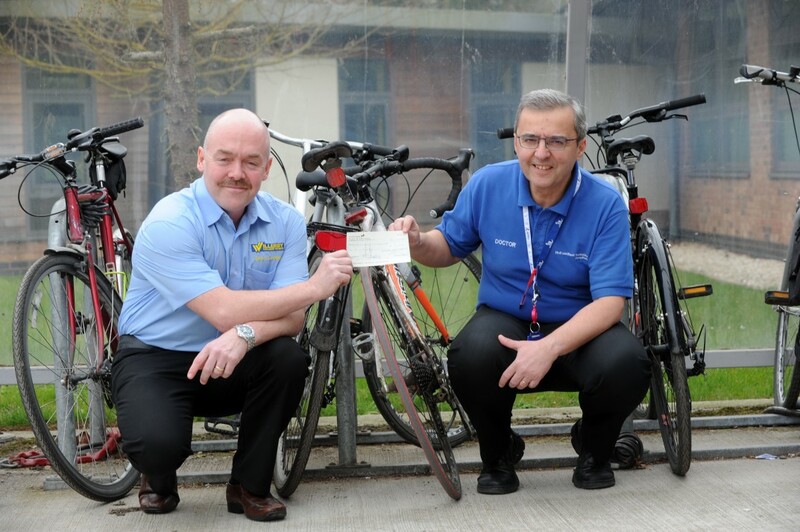 Members of the group have been making the two-wheeled trek annually for the past 20 years, and Gary has been one of those organising the ride out, along with his colleague Steve Moore, for the past 14 years. Every year the group has chosen to raise money for a different charity in Hull and/or the East Riding, and their latest ride bagged them a cool £5,000 in sponsorship and support. But if that wasn’t impressive enough on its own, their collective fundraising for local good causes has now topped £100,000. Hull University Teaching Hospitals NHS Trust’s oncology service, based at Castle Hill Hospital in Cottingham, is the latest to benefit from the group’s generosity. “Our annual fundraiser is a great opportunity to get together with work colleagues, family and friends, to take in some fresh air, and to raise money for some really good local causes. “Several members of our group have had family or friends affected by bowel cancer and spend time in hospital receiving care or treatment for it, and so that’s specifically where we’ll be donating the money this time. “Hull has been at the forefront of studying novel imaging and radiotherapy planning technologies in cancer. We are working to improve radiotherapy outcomes both in terms of efficacy and reducing toxicity for patients with rectal cancer, and this fantastic donation will go towards bolstering this research.